In automotive applications, the AFM process can help boost flow rates for more complete and efficient combustion. Extrude Hone AFM was instrumental in pioneering the AFM process into the auto industry over 30 years ago. The process is now recognized worldwide for its ability to increase fuel and air flow up to 25 percent, which in turn will increase horsepower, thrust, and torque on all types of internal combustion engines. From 2-Stroke or 4, 6, 8, 10, or 12 cylinders to hemis, diesels, or turbos to aluminum or cast iron, we can get you the most out of it. Following the AFM process, combustion becomes more intense, and fuel will more completely burn at ignition. Now, with better volumetric efficiency, along with a freer flowing exhaust, the cylinder is more completely evacuated and can receive a stronger measure of fuel and air for the next ignition. Additionally, since the most offensive pollutants generated by automobile exhaust emissions are 96% unspent fuel, the more complete the burn of the fuel, the more environmentally-friendly the engine will run. 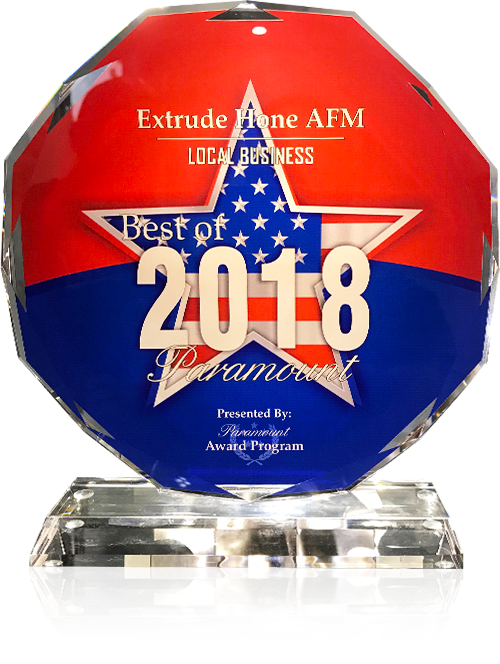 This makes Extrude Hone AFM's contribution complete: better performance, better fuel efficiency, and cleaner exhaust emissions. If you are interested in using the AFM process to improve combustion and efficiency, we recommend starting with the intake manifold. Call us at (562) 531-2976 to get a quote on AFM for this or other automotive components.